Wow, how is it already September? I have been hard at work on my wedding invitation collection, and am getting so excited to debut it in the coming months. 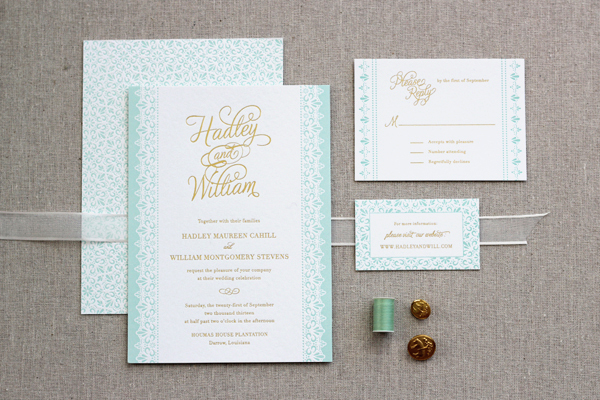 The invitation suite I’m introducing today, Vintage Lace, is one that I designed for Kimberly Fitzsimons, Classically Chic Letterpress. 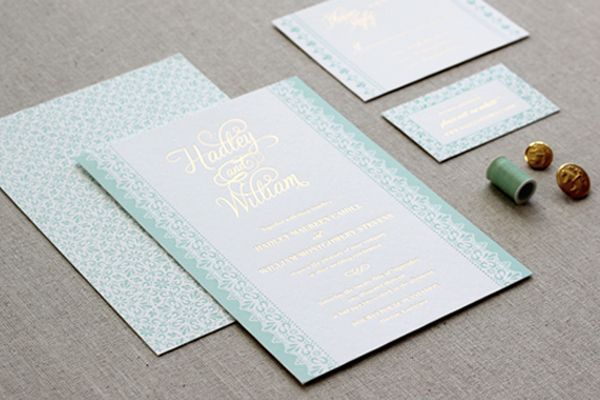 I won’t lie, I was absolutely obsessed with the samples when they showed up at my door a few weeks ago– the patterned letterpress backers, the gold foil (! 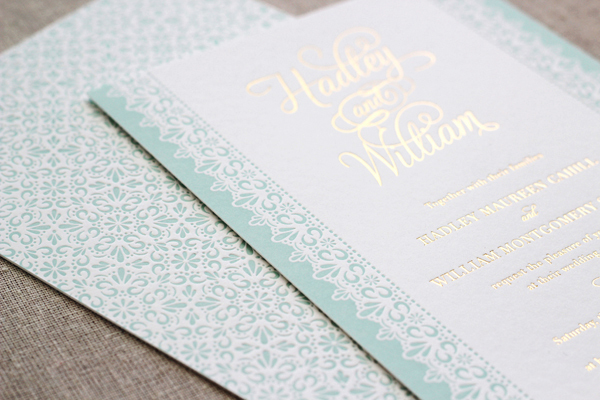 )– these are some luxurious invitations! 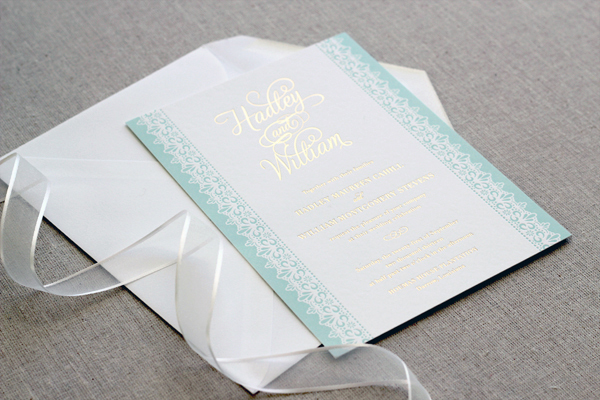 Printed in Pool ink and Gold Foil on fluorescent white cotton paper, the design features a delicate lace pattern and classic, elegant type. Vintage Lace, in addition to my Ringlet suite, is available for purchase through Kimberly Fitzsimons’ shop. This entry was posted in New Releases and tagged duncan park papers, gold foil, invitation, lace, laura hankins, letterpress, vintage lace, wedding invitation by lhankins08. Bookmark the permalink.